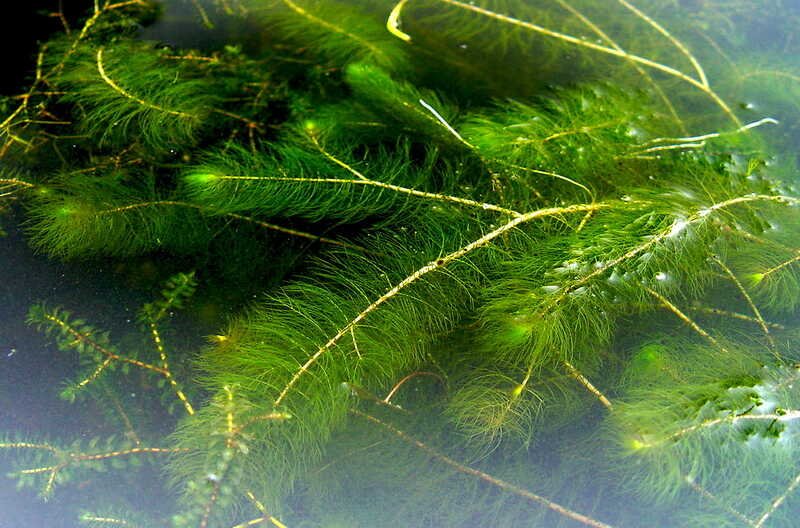 Eurasian water milfoil (EWM) is an attractive plant. In fact, it was once sold as an aquarium plant. It is native to Eurasia and North Africa, and was accidentally introduced to North America in the1940’s. However, Eurasian milfoil is one of the worst aquatic plant pests in North America. It is believed to have been introduced to Wisconsin in the 1960’s and is currently known to be present in approximately 600 lakes and rivers. The introduction of EWM can greatly change a lake’s ecology. It can form very dense mats of vegetation on the water surface, thereby interfering with recreational activities such as swimming, fishing, water skiing, and boating. Milfoil starts growing earlier in the season and shades out native plants. It reproduces rapidly by the formation of plant fragments which become brittle and naturally break apart. These fragments float to other areas, sink and start new plants. 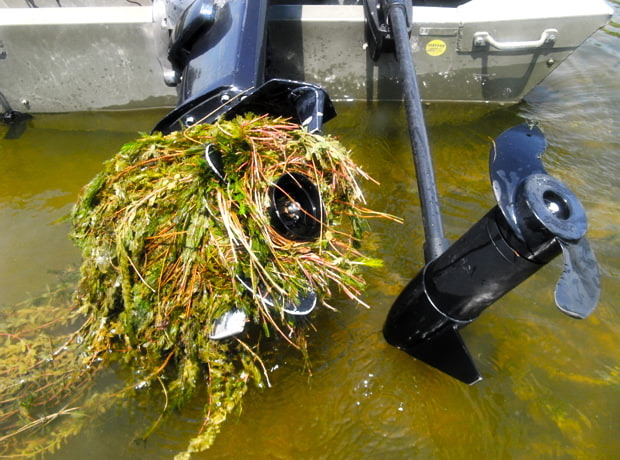 Milfoil can also grow from fragments created by boaters. 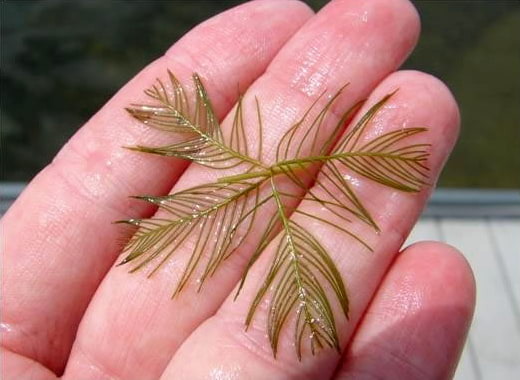 A new plant can start from tiny pieces of milfoil. 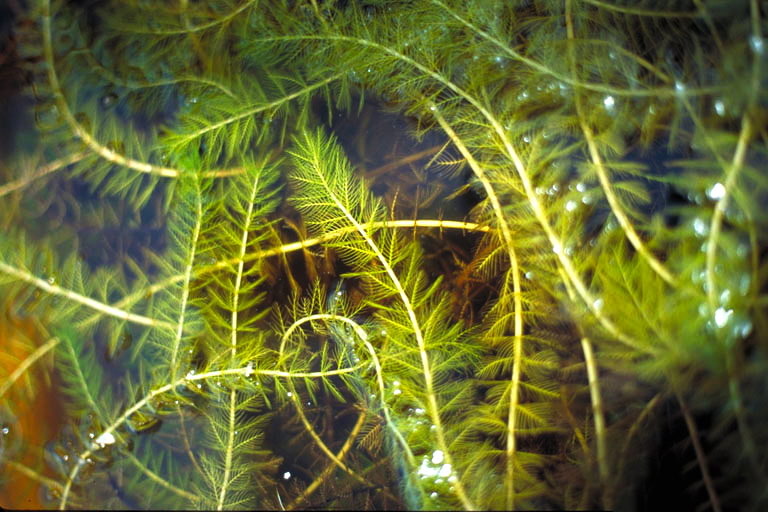 Eurasian water milfoil is an emergent, herbaceous aquatic plant. Its stems grow to the water surface, usually extending 3 to 10, but as much as 33, feet in length. EWM can form large, floating mats of vegetation on the surface of lakes, rivers, and other water bodies, preventing light penetration for native aquatic plants and impeding water traffic. This was the situation on the Eagle River Chain around 2007 before the milfoil management program began. The stems are reddish-brown to whitish-pink. New plants generate mostly from rhizomes and fragmented stems. It does not spread rapidly into undisturbed areas where native plants are well established. Therefore, it is important to promote native aquatic plant growth on the Chain. 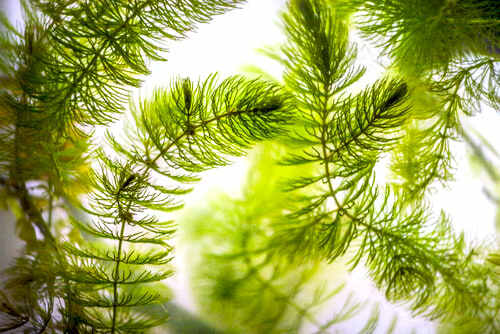 Eurasian water-milfoil infestations negatively affect birds and fish, and decaying mats of Eurasian water-milfoil reduce oxygen levels in the water. Transporting Eurasian water-milfoil fragments on boats, trailers, and in livewells is the main introduction route to new lakes and rivers. Clean your boat before you leave the ramp! Click here to visit the DNR website for more information. 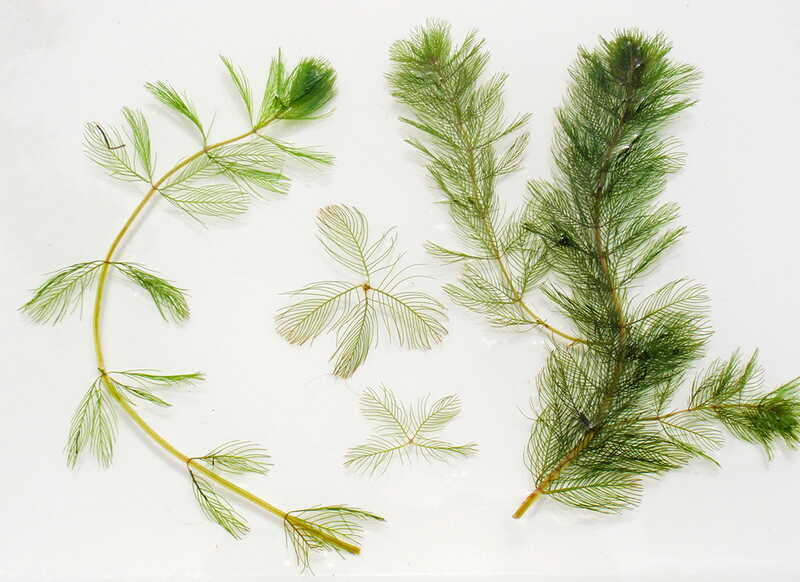 Eurasian water milfoil can easily be confused with several other plants, including native Northern water-milfoil and native coontail.